We have been in business for over four generations. We pay COD for all our acquisitions. We have stellar reputation throughout the world. 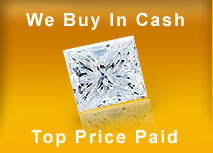 We market our acquired diamond jewelry all over the world, so we can pay top dollar. Call us today on 1-800-242-7766 or send us a mail sellcod@diamondmelle.com and see how we can offer enhanced service to your business.